Home MTAANI NEWS Commissioner warns land grabbers of revocation of titles. Commissioner warns land grabbers of revocation of titles. Central Regional Commissioner Wilson Njega (left), Thika Town MP Eng. Patrick Wainaina and Thika West DCC Douglas Mutai at the event in Makongeni Thika. Central Regional Commissioner Wilson Njega has warned all those who have grabbed public land within the central region that their title deeds will be revoked and the land reverted back for public use. Speaking in Makongeni area Thika West on Wednesday where he led other administrators in destroying confiscated illicit brews and gambling machines, Njega also warned that the dreaded Mungiki sect was slowly regrouping and re-emerging strongly in central Kenya. A 10-acre piece of land that part of it host Makongeni Police Station has been on the spot recently, after community policing members claimed it had been grabbed. Njega lamented that some politicians in the region have been funding the outlawed sect saying that the unscrupulous politicians are using the sect members to amass cash from innocent residents. He appealed to parents to advise their children who have already joined the sect that none of them will be spared once the authorities crack whip. “We cannot breed criminals just because they are our kids. Parents must caution their children in earnest before we unleash our wrath on them,” he said. Njega recalled that in the wake of the 2007/08 post-election violence, the outlawed sect carried out numerous merciless killings, extortion and theft in the region. “They used to collect money from houses depending on the size and nature ranging from sh. 200 and sh. 1000 per month. Also in traditional wedding ceremonies they could demand 10% of the cash left by the in-laws. This is what they are up to now and we won’t allow this,” he said. Thika MP Patrick Wainaina said that the sect members are the same people who were still brewing illicit liquor with impunity despite the government’s efforts to end the vice. 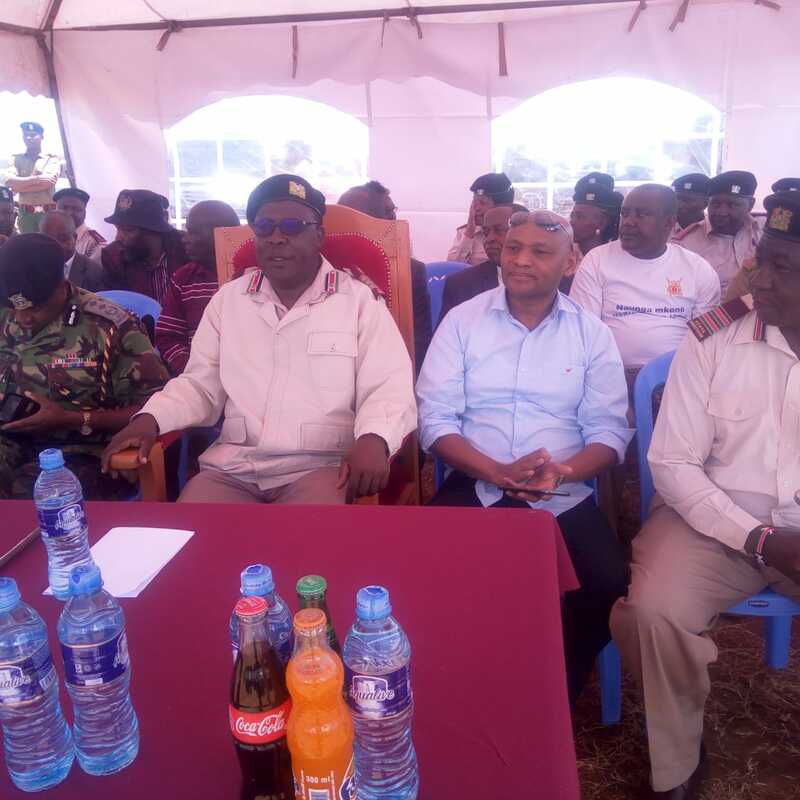 The lawmaker pledged to support the authorities in the with all means to ensure that security is maintained as well as empower them to combat criminals, illicit brews, outlawed gambling and drugs. “We must join forces and ensure that sanity is restored in our region,” Wainaina said.